Glenford "Lee" Prospere, better known as MasSicker or "King Mas", is a prolific young singer/songwriter/composer/selector whose star has only begun to shine. As long as anyone can remember, this son of a calypsonian as been captivating audiences with his smooth vocals and over the years this artist has grown into a total musical package. Born in Boston, Massachusetts on April 21st, 1987, MasSicker, affectionately called "Lee" by close friends and family, was born into a very musical environment and a very musical Caribbean family. His father, Glenford T. Prospere AKA "Supreme", a legendary calypsonian on his island of Montserrat and calypso monarch, is a guitarist, pianist, songwriter and vocalist who he would watch and listen to very keenly along with the rest of the band at his church who would play gospel music in mainly reggae and calypso styles. His mother, Pauline Prospere of Clarendon, Jamaica, is not a musician but nurtured his talent by surrounding him with music from birth and encouraging him to perform at church events. It was this initial exposure and the encores that were often demanded that added fuel to the inborn musical fire within him. MasSicker, who overcame a 7 year bout with a childhood disease, was born a fighter and a rebel who always questioned and fought that which he saw as unjust or untrue. Before he was a teen he showed disdain for religion and the politics therein and was met with resistance when he began showings signs that he would not be his father's successor (his father had become a bishop by time he was 12). Nonetheless, his family bond was not broken and he was able to branch out and follow his passion by performing in various plays, choruses, and talent shows throughout his teenage years touching the genres of gospel, r&b, and of course, reggae music. At the age of 17, after much meditation and searching, MasSicker found Rastafari as his philosophy and began writing songs inspired by the likes of Bob Marley, Sizzla, Capleton, & Jah Cure. However, as an American born West Indian child, his influences were very diverse which give MasSicker a great amount of versatility is his style from R&B, to dancehall, to calypso, to culture and lovers rock. However, it was a lovers reggae tune entitled "Ackee in my Saltfish" that first garnered the attention of many, including the TCOOO label who he came in contact with in 2006. Subsequently, he released his first true smash entitled "Look Around", a social commentary inspired by world events at the time that it was penned, which has enjoyed great success. It has been selected by iTunes to join the ranks of Damian Marley, Jah Cure, Tarrus Riley, & T.O.K amongst others in it's iTunes Essentials "Rising Stars: Reggae" compilation and is currently enjoying rotation on both the IRIE and ZIP FM radio stations in Jamaica. At 23 years old, "King Mas" is continuing to write and record hits. 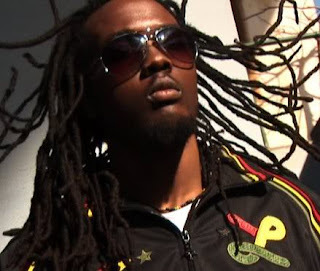 Most recently, the self produced "Mek Dem Gwaan” and "Wife Beater" have been mashing up airwaves from Boston to Jamaica to Europe and even as far as Malaysia and Costa Rica. Within the past year, MasSicker has shared the stage with the likes of Beenie Man, Lady Saw, Assassin, Mad Cobra, Elephant Man, Serani, Bushman, Dean Fraser, & even Tarrrus Riley. He is looking to release his debut album in 2011 but is keeping most of his project under wraps. Look out for this promising young artist to step out internationally in the near future and "MasSicker" babylon with words, power, and sound.